TargetFS-LKM™ (TFS-LKM), Blunk's best-in-class, high performance, full storage embedded Linux solution is a viable alternative to the default file systems available under Linux. TFS-LKM works well with eMMC and SD cards as well as raw flash - both NOR and NAND. 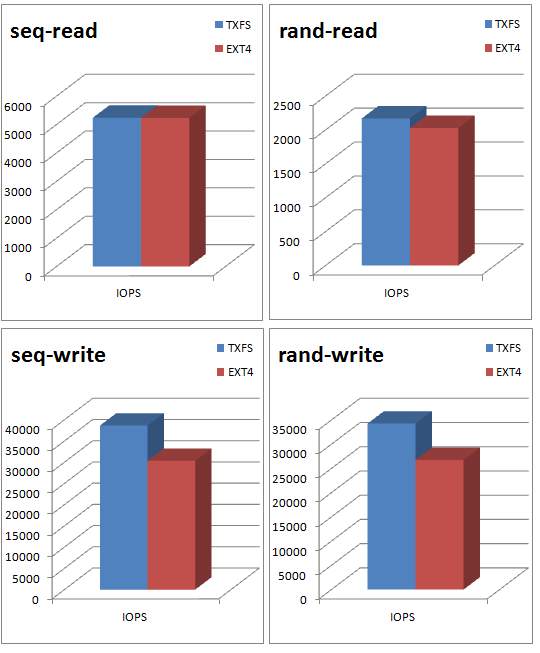 For raw flash, our solution comprises not only our generic, high performance file system, TargetXFS (TXFS), but also our best-in-class flash translation layers for both NOR and NAND flash. TFS-LKM is versatile in its support of storage media. 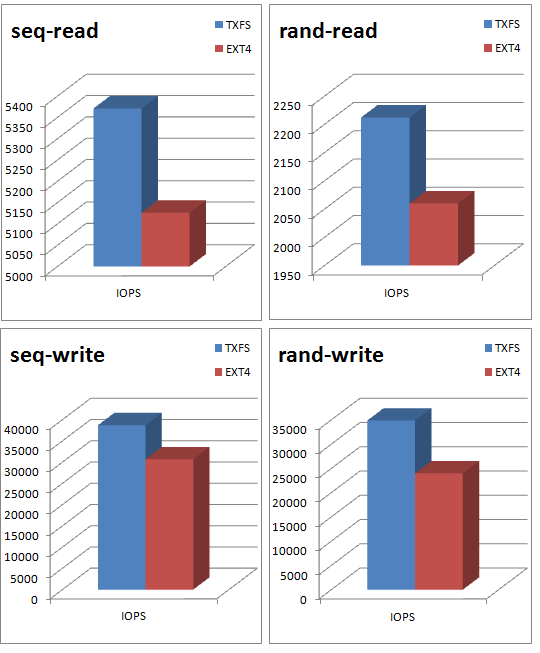 The above benchmarks have been run on three different types of memory - eMMC, raw NAND flash and raw NOR flash. 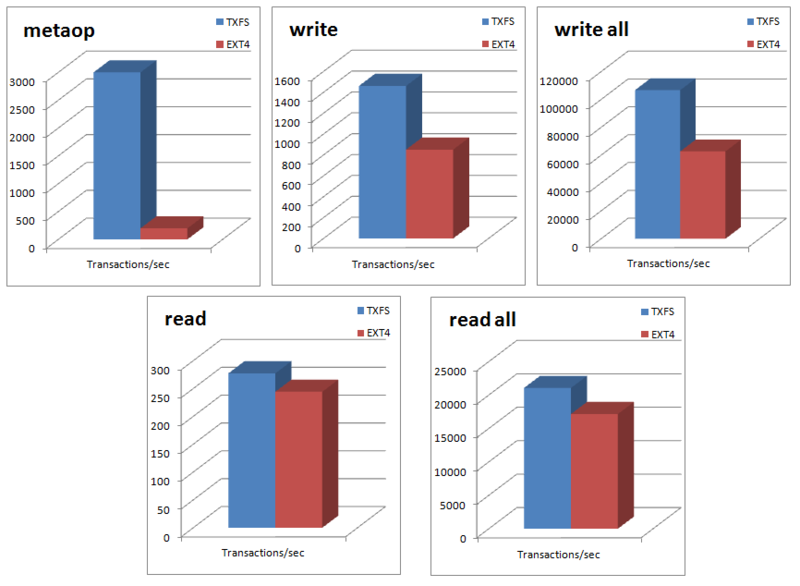 For the eMMC benchmarks, TFS-LKM has been run against the EXT4 file system. 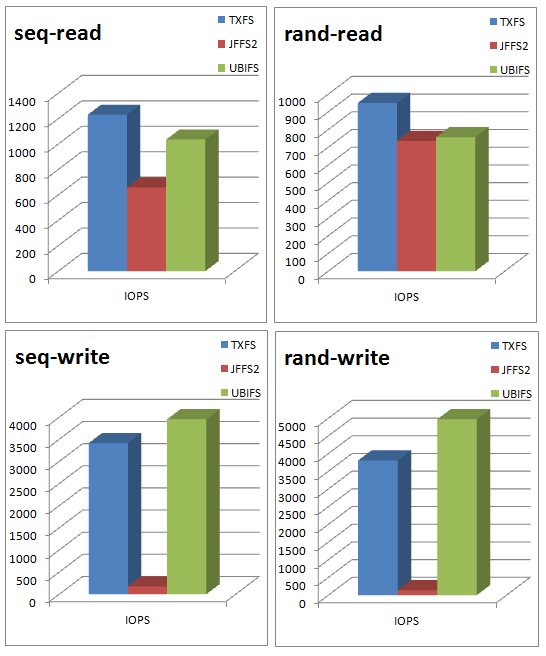 For the raw flash benchmarks, TFS-LKM has been run against the UBIFS and JFFS2 flash centric file systems. The board used for the benchmarks is the ZC702 evaluation kit from Xilinx. 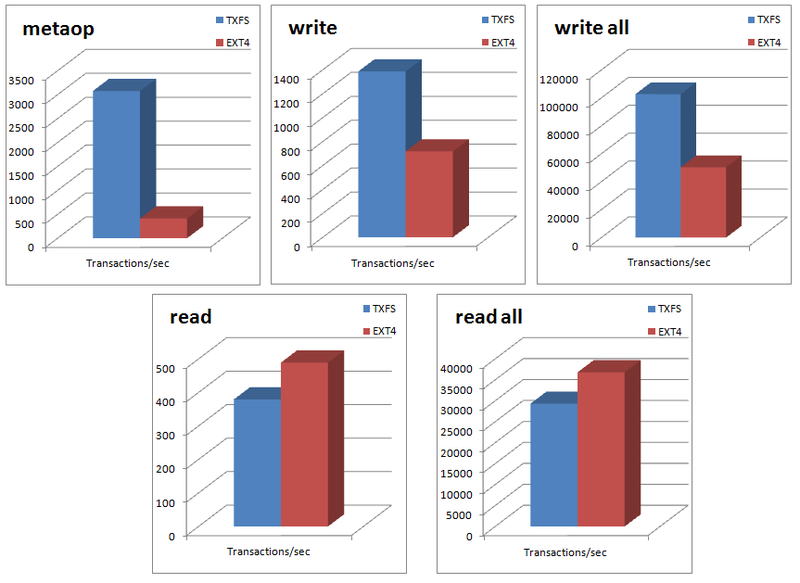 In all the eMMC benchmarks below, TargetXFS values are in blue, EXT4 values are in red. We used 256MB files for the FIO benchmarks. 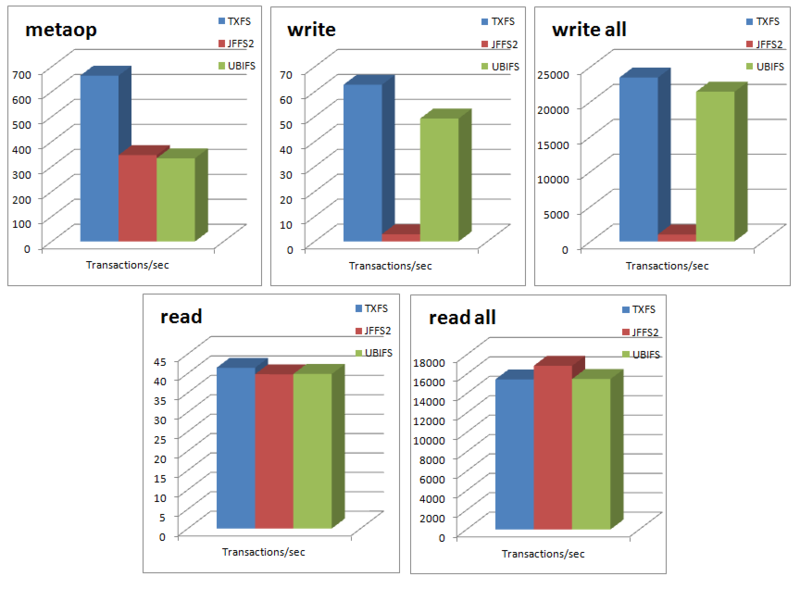 We used 256MB files for the IOZone benchmarks. 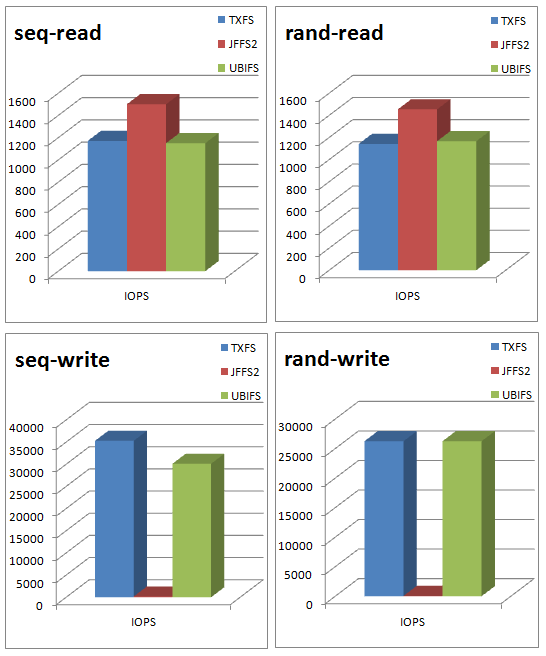 NOR SPI benchmarks were performed on the Micron N25Q128A11ESF40G quad-spi flash. The size of the volumes being tested was set to 11MB. 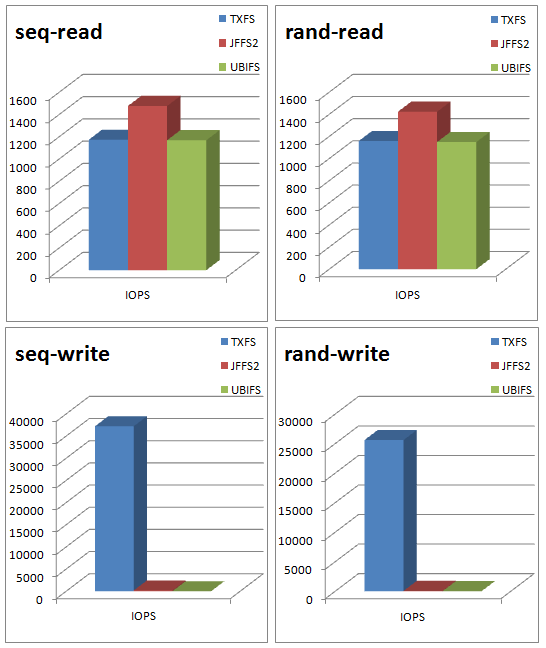 In all the NOR SPI benchmarks below, TargetXFS values are in blue, JFFS2 values are in red, and UBIFS values are in green. We used two measurements for the FIO benchmarks. One used 4MB files, the other 8MB ones. We used two measurements for the IOZone benchmarks. One used 4MB files, the other 8MB ones. NAND benchmarks were performed on the Samsung K9F1G08UA-P flash. The board used for the benchmarks is the ea3250 evaluation kit from Embedded Artists. The size of the volumes being tested was set to 122MB. 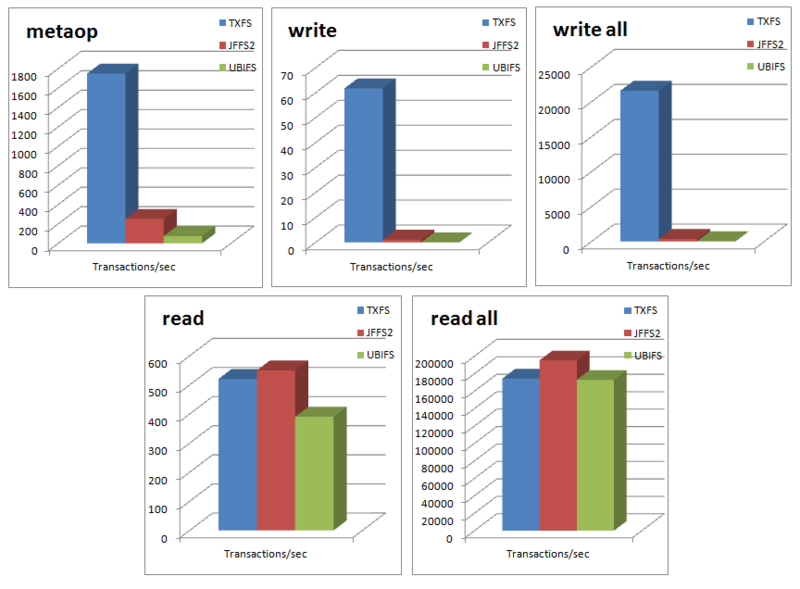 In all the NAND benchmarks below, TargetXFS values are in blue, JFFS2 values are in red, and UBIFS values are in green.